A large upright shrub or small tree, depending on how each plant is trained. 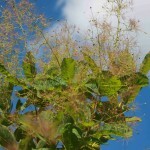 It has fluffy clusters of small flowers, followed by airy seed heads. The fall color is intense yellows, oranges, and reds. 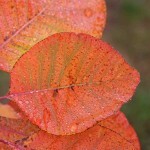 It prefers average, well-drained soil and full sun. It is however, adaptable to a range of sites.